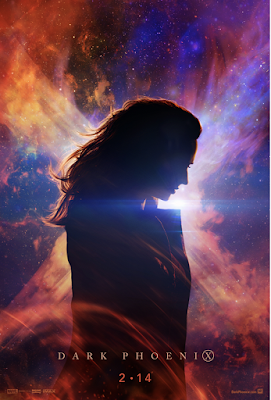 Film-Arcade.net: First Trailer and Poster for the Upcoming "X-Men" film "Dark Phoenix"
First Trailer and Poster for the Upcoming "X-Men" film "Dark Phoenix"
20th Century Fox recently send us over the first poster and trailer for the upcoming "X-Men" film "Dark Phoenix". The film stars James McAvoy, Michael Fassbender, Jennifer Lawrence, Nicholas Hoult, Sophie Turner, Tye Sheridan, Alexandra Shipp, Kodi Smit-McPhee, Evan Peters, and Jessica Chastain. "Dark Phoenix" hits theaters on Feburary 14th.